Tucked away in vast the Pacific Ocean is a small United States Territory that was attacked like Hawaii during WWII on the same day for all practical purposes ( except on the calendar it was Dec. 8th because of the International Dateline). Unlike, Hawaii, Guam was taken over by the enemy and its people endured the very real hardships of a conquered people during times of war. American Nationals on American soil under the hands of an American enemy. Maybe because they were an indigenous native people of color where minority rights were not even a real consideration until a couple of decades later. Maybe because it will take until 1950 before its residents will be granted U.S citizenship with its government having the limited authority of an unincorporated territory. Maybe because of its distance, its small population, its use as a military strategic point in the Pacific, and similar reasons, that the stories of the survivors of the war has never truly been told and appreciated on the national level. In my own family, my mother and father , their parents and families endured that terrible war. 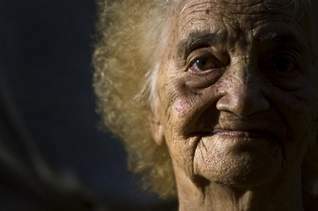 They lost loved ones in concentration camps and through other ravages caused by war. They saw their very way of living changed forever. Yet, their stories have remained unknown to the general public. These stories are not only for the people of Guam but for all Americans. It is all of our legacy. These are stories of heroism and also stories that will remind us of the horrifying effects of war. It will also remind us of the great sacrifices that U.S. residents as well as soldiers made during that great War of Wars. 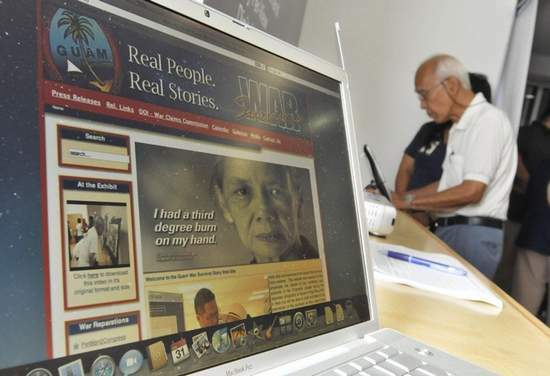 The website : Guam War Survivors Story captures some of that legacy. Every American and world citizen should visit it and read the moving testimonials and stories. Finally, there is truly a place of significance that these stories can be shared. The complete story of World War II in the Pacific is incomplete without this recorded legacy. The people of Guam were attacked during the biggest Roman Catholic religious holiday celebrated on Guam. Most people were in Church. During the recapture of Guam by the United States Marines, the surviving native people were found severely starving in concentration camps. Many of them took out United States Flags they had hidden during the entire war to welcome back “Uncle Sam.” Their stories of courage, faith and patriotism ranked up there with some of the more well known historical chronicles of that time. I am so grateful their voices are finally being heard.